Being Erin ★ : Cory. 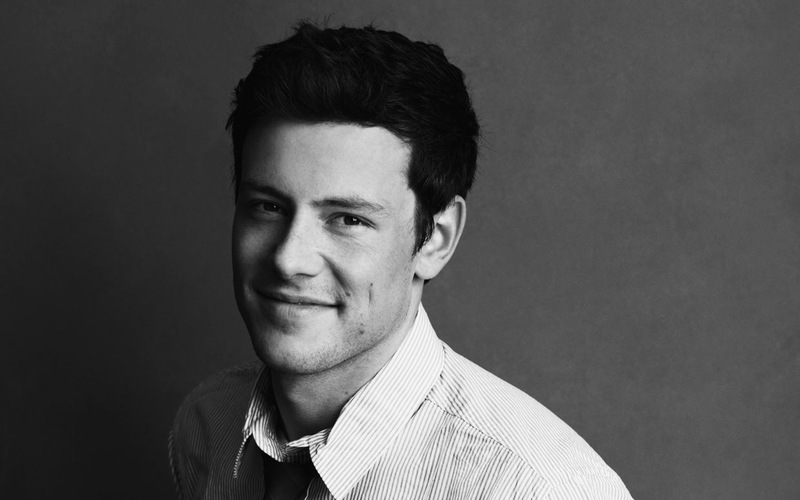 The entire world knows this already but Cory Monteith died yesterday. It is suspected (not confirmed) that he died of a drug overdose. In April he went to rehab and despite knowing that he had substance problems in the past, I was shocked that he was at that point where he had to admit himself. I thought it was a joke at first but it wasn't. Yesterday I woke up from a nap at 4:30 pm to find out on Facebook that Cory Monteith was found dead in his hotel room. Again, I was in shock. This time I didn't think it was a joke. I thought it was a sick, cruel dream that I was going to wake up from. How could such a young, sweet, genuine person have died? So unexpectedly and so suddenly. The next time I expected to hear about Cory was in August or September in the lead up to season 5 of Glee. Not on my Facebook news feed saying he was found dead. I am so sad that the world has lost such a beautiful soul. His life meant a lot to me and means a lot to his millions of fans. He touched so many lives and did so much good. He was so kind and selfless and funny. Not to mention talented. He is still here and he is not gone. He can't be.